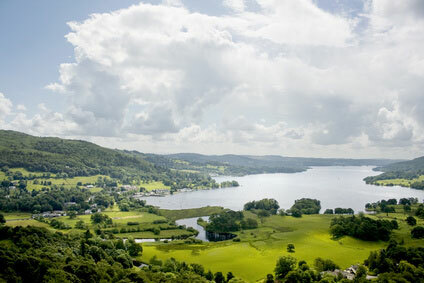 The Lake District is home to some of the most beautiful scenery in the United Kingdom, including the largest and longest lake in England, Lake Windermere. Renting a self-catering apartment near this incredible lake with stunning views of the water outside your accommodation window is the perfect way to truly soak up the almost unbelievable atmosphere and stunning backdrops of this district of the north west of England. As well as several expansive lakes, this protected National Park located within the county of Cumbria is also home to sky-high mountains and hills, thickets of forestry and quaint towns and villages which are all exciting to explore when on a break here. Lake Windermere has to be seen to be believed. Stretching on for over eleven miles, this stunning area of natural beauty makes an excellent place in which to rent an apartment, where you can open your front door to be greeted with fabulous views of the glistening and glossy waters every morning. Inspiring and motivating, it is a great place to just sit by, taking it all in, and keen photographers and artists will marvel at the fantastic opportunities there are to snap up a brilliant photo of the lake to make your friends jealous, or dabble with a paint brush to create a stunning watercolour image. There are also many walks that can be taken around Lake Windermere, and there are plenty of cruises which can be taken for visitors to really get into the heart of the lake. 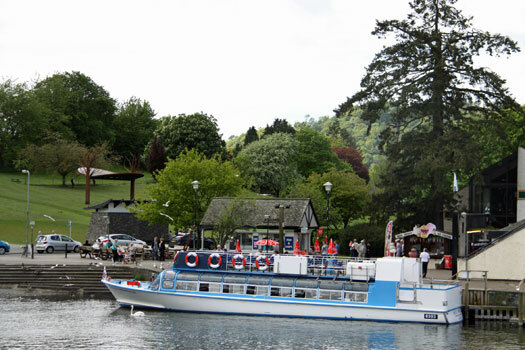 Windermere Lake Cruises start from towns such as Ambleside , Bowness and Lakeside at the southern end of the lake and can last anything from 45 minutes to three hours long. The cruises are decked out with comfy chairs, stunning promenade decks and tea rooms, and many provide guests with refreshments in the form of drinks and a lunch or dinner buffet, depending on which time you choose to take your cruise. Hopping aboard on one of these boats is a brilliant way to see the lake at all angles and is a trip that you and your loved ones will never forget. Located in Windermere is the Windermere Steamboat Museum in the town of Bowness which is a must-see if you are renting an apartment in the area or if you have an interest in all things nautical! The museum features an interesting collection of vintage steam boats which date back all the way to 1896, as well as two dugout boats from the 13th century. There is also lots of history through displays and exhibits about racing boats. Self-catering apartments to rent near Lake Windermere are the perfect way to spend a holiday in the Lake District. The accommodations come with all the facilities you would expect in a self-catering property, including fully equipped kitchens, hot tubs and power showers. There are plenty of charming towns and villages around the lake with shops where you can purchase food, as well as sample dishes in some brilliant restaurants, and these apartments will feel like a home away from home, set by some of the most beautiful scenery imaginable.